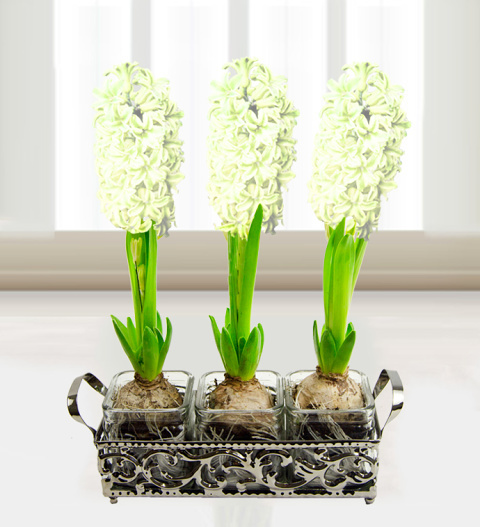 Our Trio Ornate Hyacinths are a spectacular display of fragrant hyacinths presented in a guild ornate display. This is a gorgeous gift and perfect for this Christmas. Hyacinths smell divine and are fun and easy to look after. Perfect for indoors and outdoors in the warmer months. The gift also comes with a free box of delicious Belgian chocolates. Available for next day delivery. Chocolates may contain nuts.